How to Test API as a Publisher Administrator? 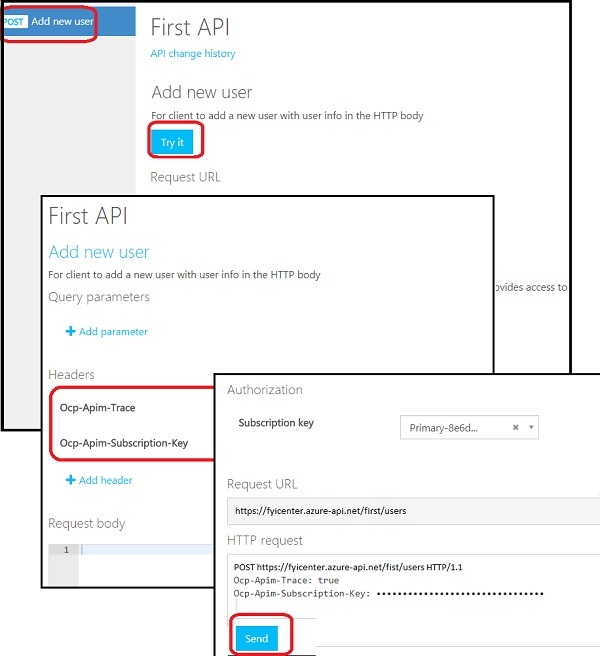 You can follow this tutorial to test an API operation as a publisher administrator. 1. Go to https://portal.azure.com with a Web browser. And log in with your company email address. 2. Find the API Management Service resource to open it. 3. Click on the "Developer portal" link near the top. You see the Developer Portal page. 4. Click on the "API" tab and select "First API" created in previous tutorials. 5. Click "POST Add new user" operation on the left. You see the API documentation page. 7. Scroll down, review the request, and click the "Send" button. You see test result displayed.